Your dentist thoroughly examines every detail about your mouth, looking for signs of oral health concerns. This is the time for your new dentist to understand the present condition of your mouth. Then, your dentist will remove dental plaque and tartar from between your teeth and below the gum line. This will boost your oral health even in this one appointment! If there were any abnormalities spotted, this is the time your dentist will develop your personalized dental treatment plan. Your dentist will combine other dental services to create your optimal smile. You never know what can happen to your smile, so it’s important to have a dentist that offers well-rounded services. Your cosmetic dentist in Casper can offer teeth whitening treatments, veneers, or other aesthetic improvements. If your smile happens to get damaged, you can ask your emergency dentist in Casper for advice and restorative care to repair your teeth. We Even Have a New Patient Special! If you still haven’t been able to decide on a dentist yet, maybe hearing about our past patient’s experiences. You can review them here and even get a completely free new patient visit so you can experience excellent dentistry. That’s right, you can get a free examination, deep cleaning, and dental treatment plan to start your new year off on the journey to improved dental health! 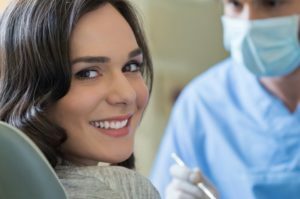 Learn more about how having a great dentist on your team can help you feel better and look better for the new year. If you’re looking for a new dental practice to call home, look no further. The dental office of Erin Prach, DDS is equipped with an expert dentist that offers comprehensive dental services to address your every oral health need. Learn more about how Dr. Prach can use the tools, resources, and expertise we have available to help you reach your smile goals. Contact us today!